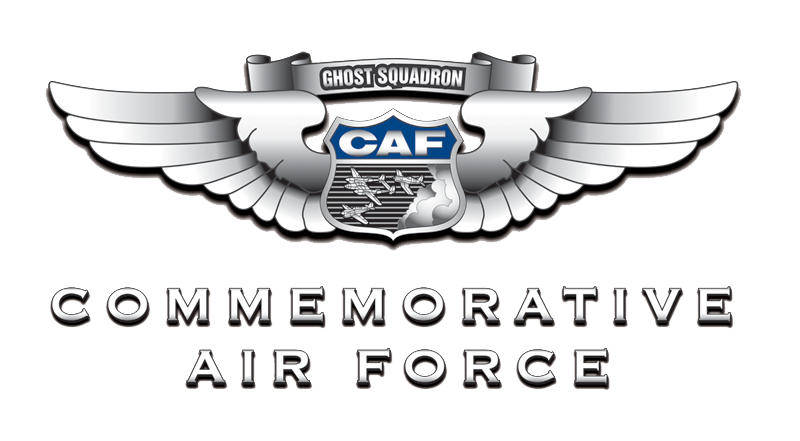 We lose our WWII Veterans every day, and the mission of the CAF Dixie Wing is to honor their sacrifices for our freedom by keeping their aircraft flying for future generations to experience. The FG-1D Corsair is one of the original aircraft of the Commemorative Air Force. 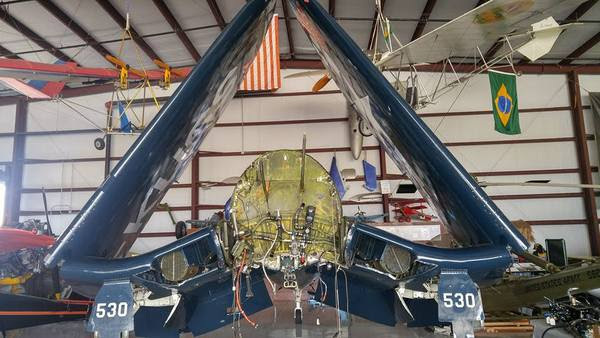 This iconic World War II fighter is one of less than 20 left flying in the world. Nothing says Warbird quite like YOUR Corsair #530. 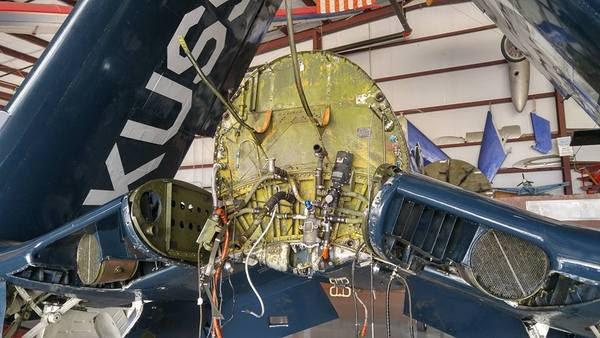 However, as you may know, we are having to replace the Pratt & Whitney R-2800 engine on the Corsair and the costs of the replacement is over $100,000. I just donated $10 to the Corsair and I challenge you to donate $10 and e-mail your friends and post on Facebook and challenge them to donate $10 too! Just think, if we could get 1,000 friends of the Corsair to donate $10…that would be $10,000!! What a great start that would be!Of course, you are welcome to donate more than $10, because every dollar counts no matter how big or small. Nothing thrills the heart – or inspires young and old alike – more than the sight and sound of your Corsair #530 in action. The 12 Planes of Christmas Fundraising campaign is a reminder that we need YOUR support to keep our mission alive. It takes a collective effort to raise the funds to keep up our safe operations, maintenance and parts. Keeping an aircraft from the 1940’s intact and in flying condition is no small task, but worth every penny, and every drop of sweat. This year we had to make the difficult choice to replace the engine which was at the end of its operational life. The cost to acquire a new engine was $ 100,000. It is a huge sum, very much so for a self-funded, non-profit organization such as the CAF Dixie Wing.